Weekly or twice weekly exfoliation treatment for most skin types. Urban living tends to slow down our metabolism and the natural process of skin renewal becomes sluggish. To combat this, we recommend twice weekly usage of this exfoliant to help slough off the outer skin layers, resulting in refreshed, clearer looking skin. 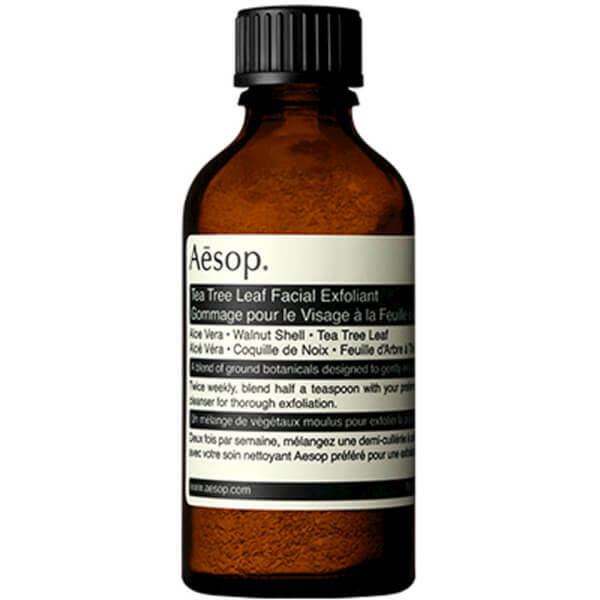 This perfectly balanced blend of ground Tea Tree Leaves, crushed Nut Shells and Purified Clays is designed to be mixed with your choice of Aesop Facial Cleansing preparation. We love it mixed with Fabulous Face Cleanser.